The project: Our first Container project is positioned right next door to Meanwhile House Cardiff, as we continue in our quest to transform our corner of a Cardiff industrial estate into something extraordinary. 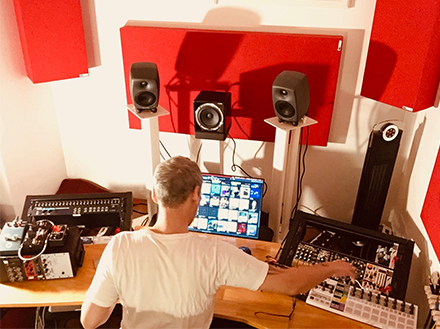 Our House is best suited to small businesses and desk-based creatives; our Containers are where you have the freedom to be hands-on and make a bit of mess or use as dedicated office space that you can call your own. Together they house a bustling community of over 80 different small businesses and creatives, from artists, designers and makers, to baristas, chocolatiers and digital agencies. The first phase of Cardiff Containers launched in summer 2018, with the new spaces quickly filled by a diverse range of creative and enterprising individuals including a barista, graphic designer, illustrator and radio station. We’ve now begun work on the second phase of the project, with the addition of a second layer of containers stacked on top of the first and are taking expressions of interest. Our long-term goal is to nurture a thriving creative quarter in central Cardiff and give more local start-ups and creatives the space they need to grow. 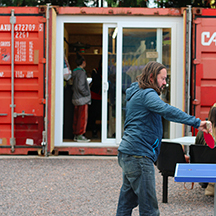 “Cardiff Containers are a fantastic way to get creative people working on their own projects who might not be wholly suited to office life. 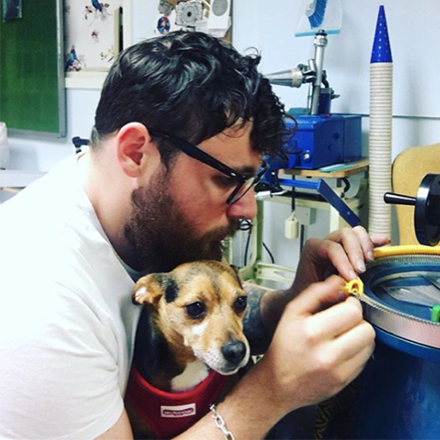 They’re roomy, cool in the summer and being able to set them up exactly as you want makes for a great starting point for any small business.” – Patrick Lake @guitar_spa, Guitar Luthier and Cardiff Container resident. 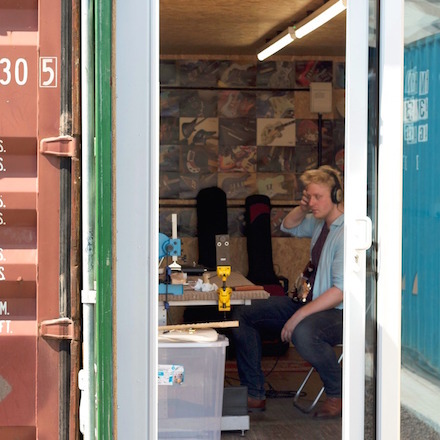 The spaces: Cardiff Containers is a collection of shipping containers transformed into workshop and offices, giving entrepreneurs, creatives, makers and start-ups flexible and affordable workspace. You can now register your interest in the next phase of containers, which we expect to be operational in early summer 2019. 17 small 20 x 8 ft (160 square feet) units – £295 a month. Those already working from Cardiff Containers include a radio station, illustrator, sign maker, beautician, graphic designer, barista and music producer. "With the launch of Cardiff Containers we continue to grow our thriving creative quarter in central Cardiff"